This three-room, welcoming, bright and quiet, is ideally located. It has just been completely renovated for your comfort. 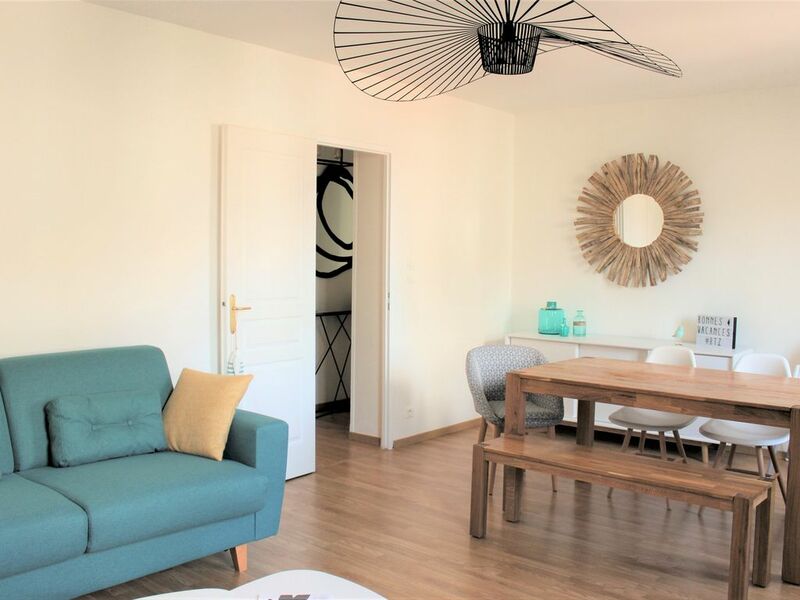 At 100 meters from the beach of the Côte des Basques, one of the most beautiful in Europe, it is located in the popular district of Beaurivage. It can accommodate up to 6 people. Everything is accessible on foot for a successful stay in Biarritz. The other beaches, Port Vieux and Grande Plage are also within walking distance. The apartment is a few hundred meters from the free shuttles of the city center and several buses including line number 10. The typical Halles de Biarritz, shops, restaurants and tapas bars are a 10-minute walk away. Very well equipped, with more for families bed umbrella, high chair and stroller available. Umbrella bed and stroller for families. Initially given an incorrect address, which was cause for concern until made phone contact. The apartment was very modern, clean and comfortable, however it proved to be very inconvenient when the cutlery drawer was located in the lounge room and utensils were required in the kitchen. Parking was in the street, which was not always able to be accessed. Fortunately it was free as we were outside of their high season. There was no journal available to advise on a number of things. e.g. The wifi connection password and network had to be worked out from the modem. The heaters were supposed to operate by just pressing the on off button, but we were unable to get any of them to operate at all. The instructions did not have an English version. We enjoyed our stay in Biarritz, our unit was in walking distance of the city centre and most of the town attractions.